Alexa Clarke Kent is a photographer based in Brighton in the UK. She studied photography and lens based media during her degree - BA (hons) Fine Art at the University of the Creative Arts in Canterbury (formerly the Kent Institute of Art and Design). She is an award winning wedding and portrait photographer and her images have been featured in many high profile magazines and blogs. 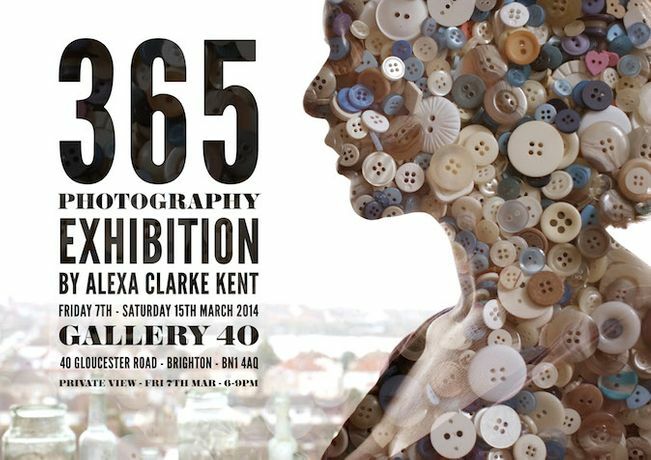 365 Days is Alexa's first solo exhibition and is a collection of portraits that she took every day for a year.